Commander Frank Román, Lieutenant Luz Soto, and Agent Rosario Hernández de Hoyos were shot inside the Puerto Rico Police Department's Ponce regional headquarters, near the intersection of PR-1 and PR-52, by a disgruntled police officer. 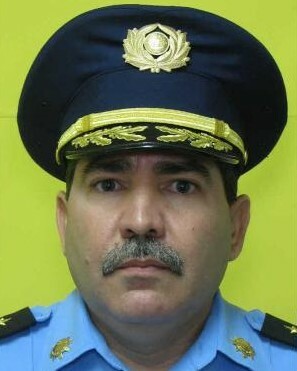 Commander Román had served with the Puerto Rico Police Department for 28 years. He was recognized as Commander of the Year in 2014. Commander Román is survived by three children. Rest In Peace Brother in Blue. Thank you and your family for your sacrifice and service. Always remembered.